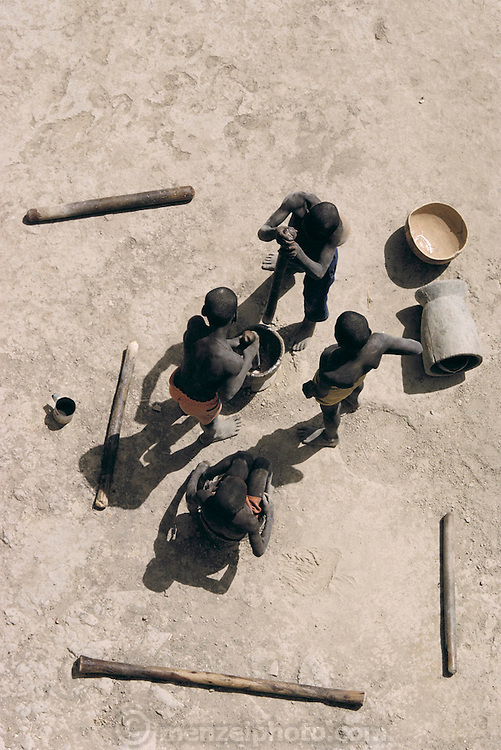 Young boys pound millet grain to make flour for porridge in Kouakourou, Mali. Talking and singing often accompany this very physical task, which is usually done by girls and women. Material World Project.